Cruising can be one of the best options for family holidays. Offering family-friendly staterooms, waterparks and plenty of fun-filled activities to enjoy with your loved ones. 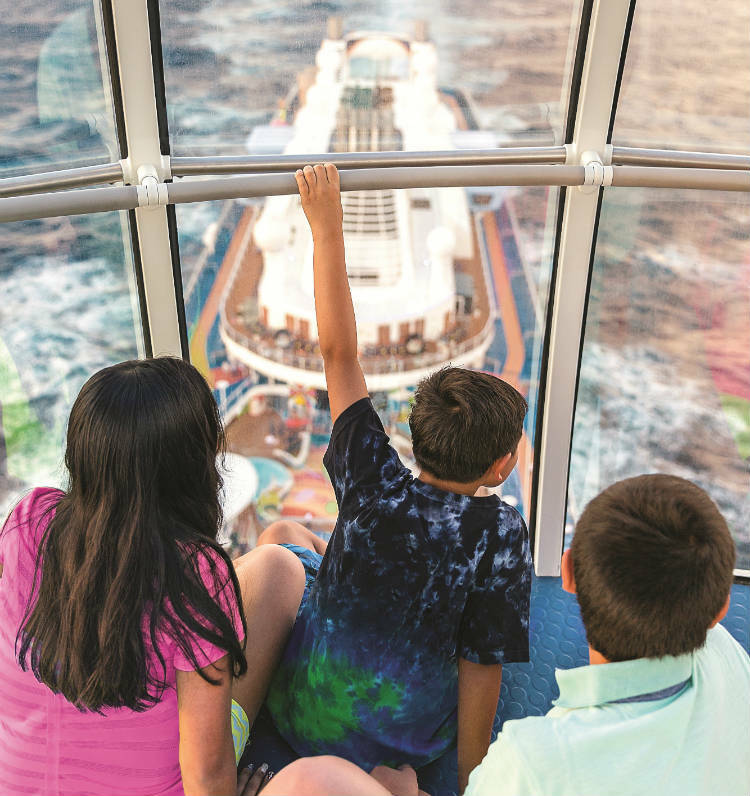 It may seem that family cruising is built for the ‘two adults, two children’ scenario, so what if you’re a family of five? 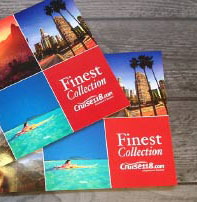 There is a great range of cruise lines on offer to accommodate you all comfortably as you set sail together. All staterooms on-board Carnival sleep up to five, with Inside rooms featuring a two twin beds which convert to a king, two upper Pullman beds and a trundle bed for the fifth guest. The cruise line also offers connecting staterooms if you want a little more space. From Build-A-Bear workshops and Dr Seuss-inspired breakfasts of green eggs and ham, the ships are great for your little ones. However, there are plenty of options to enjoy for adults too. Visit the Punchliner Comedy Club for a late-night laugh, relax at the Serenity Adult-only Retreat or sing your heart out at Lip Sync Battle. Celebrity also caters to family cruising, with spacious and comfortable accommodation on offer for larger families of five. Family Balcony Staterooms feature two beds which convert to a queen, as well as a second bedroom with a twin bed. Both rooms also include Pullman beds and/or a sofa bed, with plenty room for all your family to relax and unwind. On-board Celebrity cruise ships, your family can enjoy a whole range of activities such as the kids’ clubs – Toddler Time for children under three, Fun Factory for 3-11 and X Club for young adults. Parents can even have some time to themselves with a babysitting service throughout the day or night, while you enjoy quality time alone. 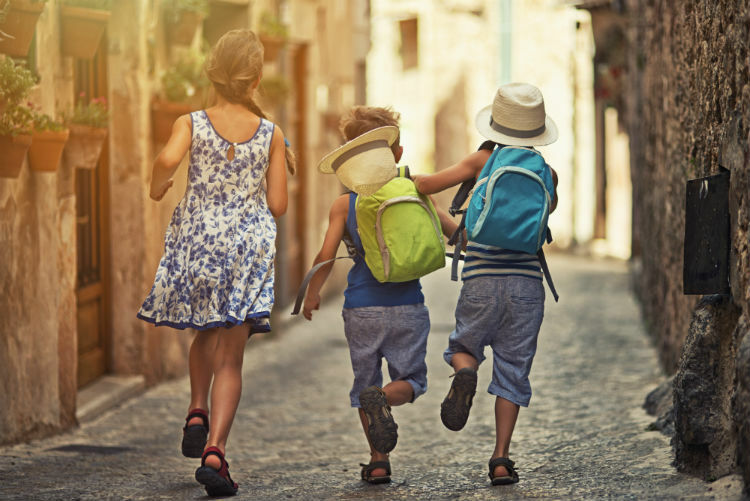 When visiting new destinations, the cruise line also features Family Tour Challenges which cater to groups and offer entertaining and authentic experiences of the world. All of the Disney Cruise Line fleet can accommodate up to five in their staterooms with Family staterooms on offer to book for your party. These typically feature a queen bed, convertible sofa bed and a pull-down bed. The Disney ships also offer interconnecting rooms, perfect for larger families looking for that bit of extra living space. 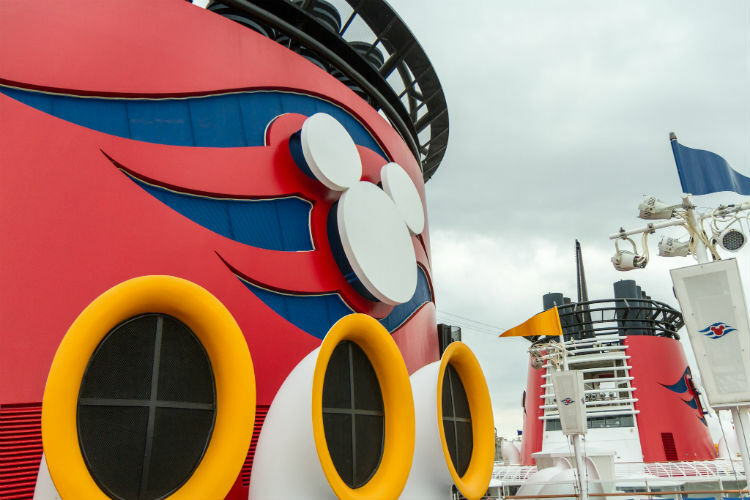 It’s no surprise that Disney has perfected the family cruising experience. Start your day enjoying breakfast with Mickey, before splashing around the AquaDuck waterslide, catching the Beauty and the Beast live show and enjoying a dinner inspired by Disney films! There’s a nursery for infants aged six months to three years, as well as youth clubs for those aged between three and 17 – offering parents opportunity to spend some time together. Port Adventures are also available on-board Disney Cruise Line, offering specially selected activities and events for families to enjoy together. These include fishing off the coast of Disney’s own Caribbean island – Castaway Cay – or even enjoying a day of sightseeing on a 4×4 vehicle across the landscapes of Spain. Norwegian Cruise Line offers a fun experience for all the family on-board, with plenty to see and do while sailing. The accommodation for up to five guests starts with the Family Oceanview Staterooms, which offer two beds that convert to a queen as well as additional bedding. 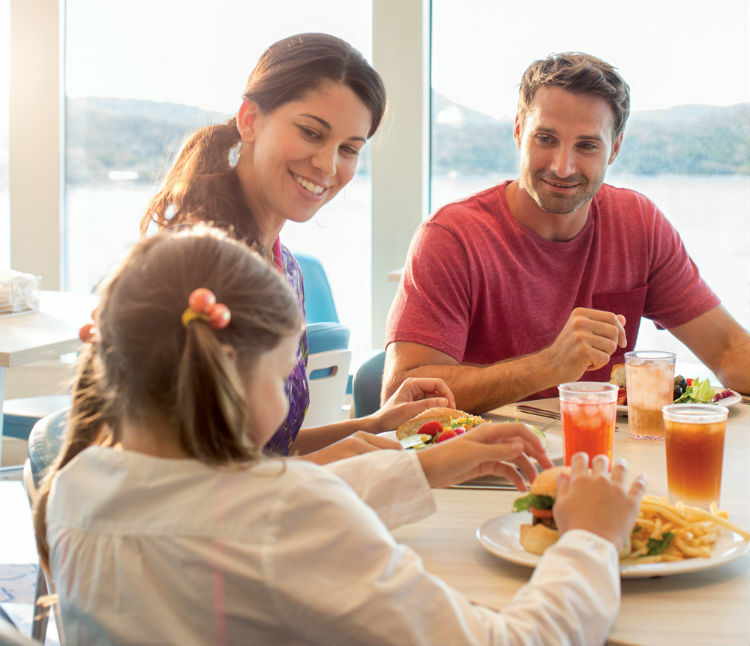 The all-important Freestyle Dining also comes in handy when cruising with family, meaning you can eat where and when you like. As well as this, kids aged three and under always eat from and those aged four to 12 can order from the complimentary kids’ menu. There are also plenty activities to enjoy on-board from mini golf to bowling – your family will never tire of the exciting facilities on-board Norwegian Cruise Line ships. The youth clubs also cater to infants from six months through to 17, with four programmes on offer for them to mix and mingle with new friends, while you enjoy some quiet time in the many bars and lounges. P&O Cruises are perfect for all ages, with family at the forefront of their ship design, destinations and even excursions. Cabins on-board are comfy and spacious, with triple berth accommodations as well as interconnecting rooms for extra space for your family of five. Dining is also perfect for your little ones, as well as your older ones, with plenty of options and kids’ menus for those fussy eaters. 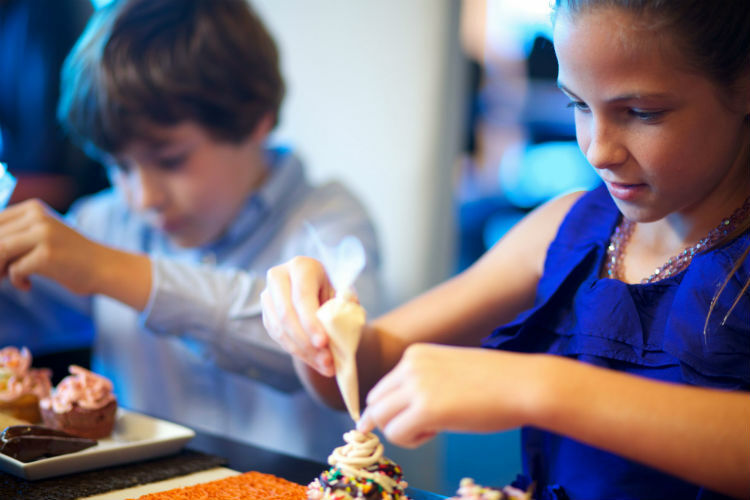 Within the kids clubs – available for children as young as two to 17 years old – your kids can also enjoy a hosted dinner at The Pantry, with a special menu just for kids. When you’re looking to hop off the ship for a day or two, P&O Cruises also offers family-friendly shore excursions. These include group tours, English-speaking local guides and the chance to explore a new destination with your loved ones. 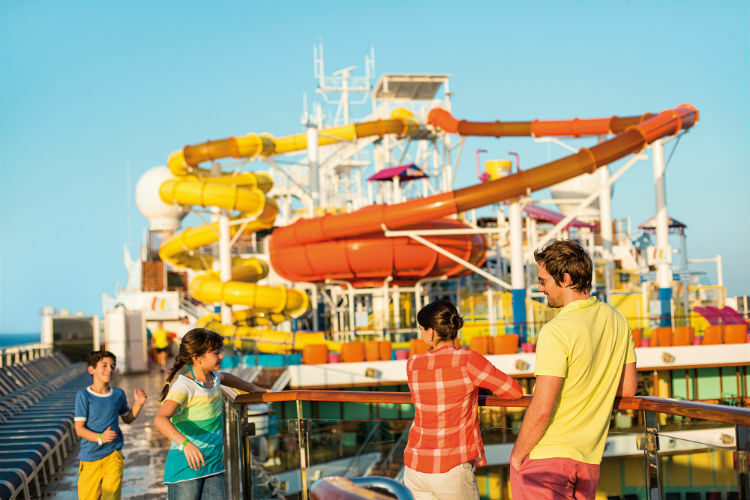 Award-winning family cruises are Royal Caribbean’s bread and butter – from slides, pools, splash parks, rock-climbing walls, bumper cars, video games, zip-lining, ice-skating, surfing and even a carousel! The staterooms on-board Royal Caribbean live for family, with their Ultimate Family Suite for up to eight guests, offering a games table, three video games consoles, chalkboard wall, play area, hot tub and even a slide to get downstairs in style! Family dining is also fab on-board Royal Caribbean, with kids’ menus, flexible dining and excellent facilities for your babies, such as milk-warming. There are plenty of restaurants on-board which are sure to get their tastebuds excited, including Johnny Rockets American diner, Jamie’s Italian and Sugar Beach! The cruise line even has an app where you can manage dinner reservations, theatre shows, on-board activities and even stay in touch with one another – perfect for keeping tabs on your little ones! 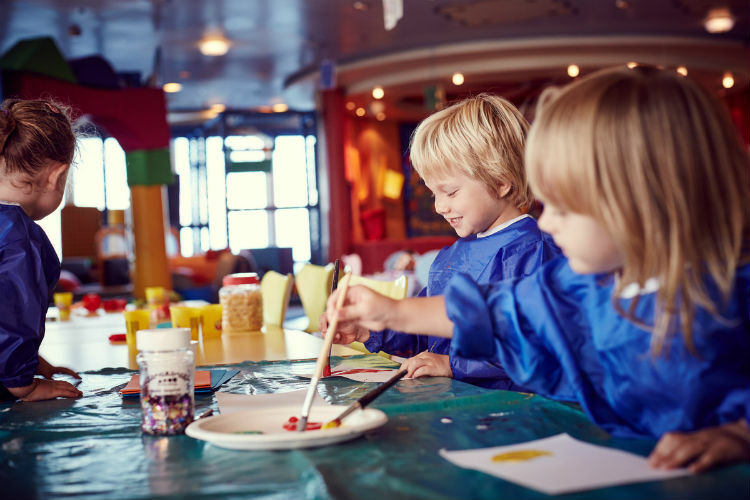 The kids’ club, Adventure Ocean, is split into different age groups starting with babies from 6 months to kids at 11 years, with age appropriate activities and events led by the cruise line’s youth team. Finding a cruise to suit everyone in your family can be difficult, so browse our latest sailings perfect for family getaways and book with us today. If you have any questions, please call our Cruise Concierge team on 0808 1234 118 for award-winning customer service and advice with your booking. Have you cruised with your family on-board these ships? Let us know in the comments below!